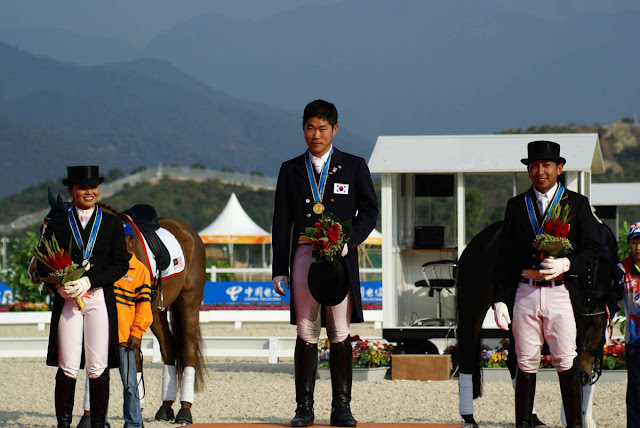 Pictured on the medal podium for the Dressage Individual Championship at the Asian Games in Gauangzhou, China are: (L to R) Silver medallist Quzandria Nur Binti Mahama Fathil from Malaysia, gold medallist Young Shik Hwang of Korea and bronze medallist Mohd Qabil Mahamad Fathil from Malaysia. Young Shik Hwang was also a member of the Korean gold medal winning team. Photo: Laixiongmin. It was all gold for the Republic of Korea in the Dressage Championships at the Asian Games in Guangzhou, China this week. On Sunday Dong Deon Kim, Kyun Sub Kim, Young Shik Hwang and Jun Sang Choi scooped the team title ahead of the host nation, and then Hwang, who celebrated his 20th birthday last Saturday and who dominated from the outset, came back to claim the individual title ahead of Malaysian siblings Quzandria Nur Binti Mahama Fathil and her brother Mohd Qabil Ambak Mahamad Fathil. This was the fourth back-to-back team gold medal result for Korea, and their fifth in total since equestrian sport became part of the Asian Games programme at the ninth edition in Delhi, India in 1982. The Asian Games is a multi-sport event staged every four years and the 2010 fixture, which began on 12 November and runs through to 27 November, includes a total of 476 events in 42 sports. 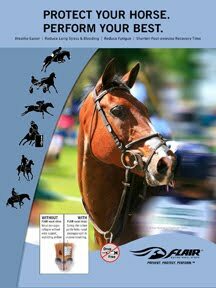 Riders from 16 countries are lining out in the three equestrian disciplines of Dressage, Eventing and Jumping. Hwang's march to individual glory began when Ground Jury members Janice Bird (NZL), Susan Hoevenaars (AUS) and Peter Johannes Holler (GER) all gave him their leading score in the team competition while judges Minako Furijoka (JPN) an Chang Kyoo Yang (KOR) placed him individually second. His mark of 68.333 left him well clear of the rest of the field and when the 62.167 collected by Don Seon Kim (Pleasure) and the 66.776 earned by anchor rider Choi (Ricco) were added the Korean team total stood at 65.759, with the 61.778 registered by second-line rider Kyun Sub Kim (Dark Secret) proving the discard. The Chinese sprang a surprise when finishing a close second. The team included Olympian Lina Liu, but it was third-line rider Bing Gu, a member of the bronze medal winning side in Busan, Korea in 2002, who provided the best score for the home team when putting 66.556 on the board while Liu's 63.944 was the discard - the 64.389 from Cai (Kosmopolit An) and the 65.833 laid down by Huang (Uris) bringing the Chinese total to 65.593 and only 0.166 points adrift of the gold medallists. The Malaysians had team gold in their sights coming to these Games after taking silver in Doha in 2006 so were very disappointed with their third-place result this time around. However they were less than 0.5 further in arrears with a total of 65.111 at the end of the day. Mohd Qabil Mahamad Fathil (Wup) produced the best score for his side when putting 66.111 on the board, but his sister Quzandria (Handsome) was hot on his heels with a mark of 65.722 while pathfinder Lee Cheng (Stravinsky) scored 63.500. The team from Japan had to settle for fourth place when their combined effort registered a total score of 64.759, while Chinese Taipei finished fifth of the five competing nations with a score of 60.722. Last Monday's Preliminary Competition, the Prix St Georges, went to Hwang again when he was the only rider to score above 70%, but the Malaysian brother-and-sister duo were stalking him all the way with Mohd Qabil finishing second and Quzandria in third. These two were always going to be competitive - Qabil's 9 year old stallion Wup has been leased from Dutch rider Joyce Heuitink who rode the horse into runner-up spot in the Dutch Prix St Georges National Young Horse Championship this summer, and Heuitink travelled out to Guangzhou as trainer. Meanwhile Quzandria's 9 year old gelding, Handsome, was purchased only three months ago from Denmark's Andreas Helgstrand and is clearly another rising talent. In Wednesday's Freestyle individual medal decider however Young Shik Hwang and Laura were again in a class of their own when claiming gold with a score of 73.134 while the Malaysian siblings took silver and bronze. Hwang's test was beautifully choreographed to the strains of an Irish jig, and his 13 year old black mare, whose origin is unknown, danced her way to victory with each step perfectly synchronized to the musical score. This time Quzandria Nur Binti Mahama Fathil finished ahead of her brother by a margin of 0.363 when exploiting the powerful moments of her Danish bred which is by Blue Horse Hertug. This was the 28 year old rider's first individual medal at the Asian Games, although she already has two team medals in her trophy cabinet. For Mohd Qabil Ambak Mahamad Fathil it was a repeat of his result from the 2006 Asian Games in Doha where he also took individual bronze and the 30 year old Malaysian businessman has now accumulated six Asian Games medals so far in his career. A total of 13 horse-and-rider combinations contested the individual final and defending gold medallist, Jun Sang Choi of Korea, missed out on a place on the podum when finishing fourth. His black horse Ricco began his Freestyle test with a flourish but ended up slightly behind the rhythm of their "Kung Fu Panda" musical score. Fifth place went to Japan's Hayashi Shingo (Olga) and sixth to China's Zhoqin Huang (Uris). At the post-competition press conference, gold medallist Hwang credited his success to the intensive training he has been undergoing in Germany under the stewardship of trainer Martin Schaudt. "For most of the time I fly between Korea and Germany in order to balance school and training" explained the rider who is studying Sports Science in Seoul. "I made good use of vacations and did most of my training during the break" he added. Silver medallist Quzandria Mahama Fathil said her coach Andreas Helgstrand has "helped a lot. Before he arrived I made lots of mistakes, but as soon as he showed up he made things right!". And she added that, despite their competitiveness and high expectations coming to these Games, sibling rivalry was not an issue for herself or her brother. "Since I was little I've been in a good relationship with my brother. We're used to standing on the podium together. 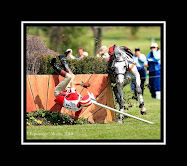 We have prepared and have the best horses, so we were hoping we could win" she pointed out. Qabil also showed true sportsmanship. "My sister and I are used to competing together and I'm very proud of us winning two medals together" he said. "Also I'm very happy that my sister has got the silver medal - although I'd like to have won it too!" he added. 1 (Gold) R.O. Korea 65.759% - Pleasure (Dong Seon Kim) 62.167, Dark Secret (Kyun Sub Kim) 61.778, Laura (Young Shik Hwang) 68.333, Ricco (Jun Sang Choi) 66.778. 2 (Silver) China 65.593% - Kosmopolit An (Qiao Cai) 64.389, Uris (Zhuoqin) 65.833, Donovan-Bailey (Bing Gu) 66.556, Cortez (Lina Liu) 63.944. 3 (Bronze) Malaysia 65.111% - Stravinsky (Diani Lee Cheng) 63.500, Odurin (Soraya Putii Alia) 62.722, Wup (Mohd Qabil Mahamad Fathil) 66.111, Handsome (Quzandria Nur Binti Mahama Fathil) 65.722. 1 (Gold) Laura (Young Shik Hwang) KOR 73.134; 2 (Silver) Handsome (Quzandria Nur Binti Mahama Fathil) MAS 71.558; 3 (Bronze) Wup (Mohd Qabil Mahamad Fathil) MAS 71.195. The Asian Games is a multi-sport event staged every four years. This year it runs from 12 to 27 November and 45 nations are taking part. This is the 16th edition of the Asian Games. Equestrian sport joined the Asian Games programme at the ninth Games staged in Delhi, India in 1982. Guangzhou is the second Chinese city to host the Games which were held in Beijing in 1990. A total of 476 events in 42 sports are contested by athletes, making this year's fixture the largest in the history of the Games. Guangzhou was awarded the right to host the Games on July 1, 2004, as the sole bidding city. The Games are co-hosted by the neighbouring cities of Dongguan, Foshan and Shanwei. Prior to these Games, the host nation of China held the record for the most medals won - 170 in total and 96 of them gold. The 2010 Asian Games' official emblem was unveiled at Sun Yat-sen Memorial Hall on November 26, 2006. It is a rather handsome goat, which, in Chinese tradition, is a blessing and brings people luck. It is also a representative symbol of the host city Guangzhou, which is called the "City of Rams" or "City of the Five Rams". Riders from 16 nations are competing in the three equestrian disciplines of Dressage, Eventing and Jumping. Team and individual gold medallist Young Shik Hwang "During the next two years I will continue training in Germany".